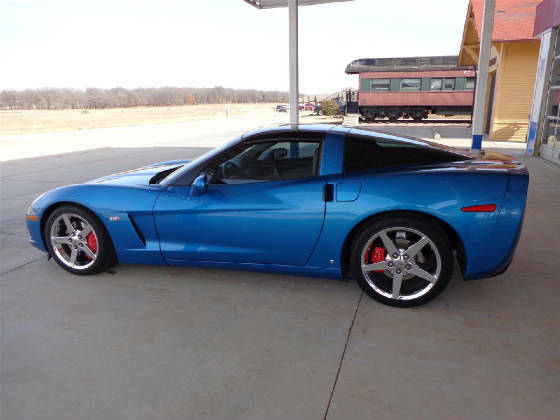 This month’s Great Oklahoma Classic is a C6 Chevrolet Corvette LS3 that belongs to Shelby and Donna Lauener of Perkins Oklahoma. 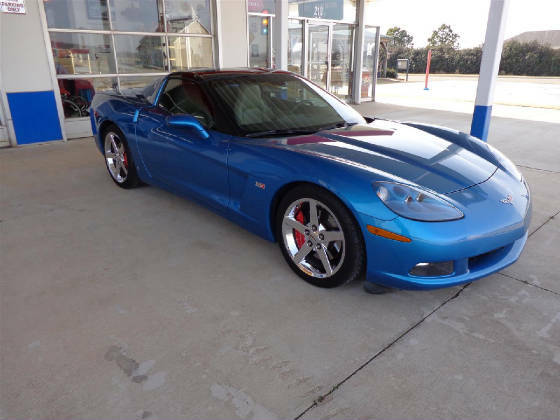 This C6 Corvette is painted a beautiful Jetstream Blue Metallic with a removable transparent roof panel. 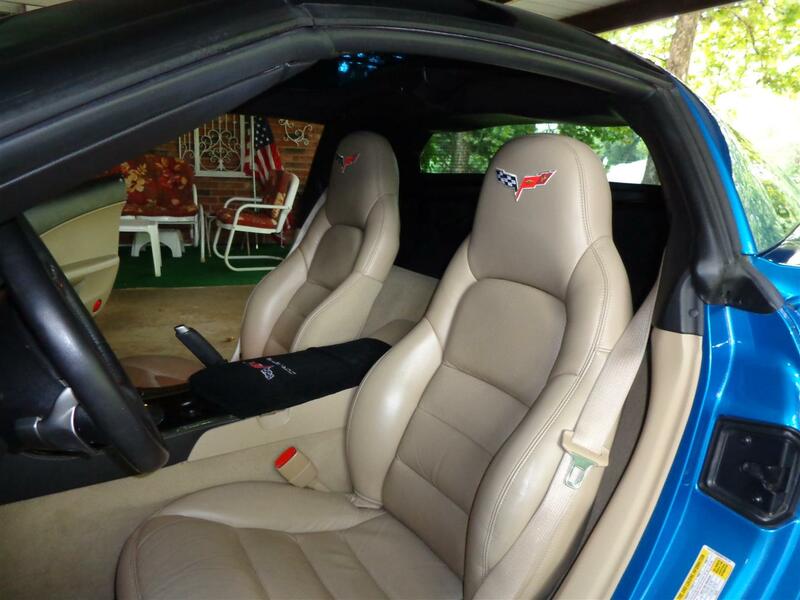 The removable roof allows light into the passenger area but keeps out the UV and bright sunlight. 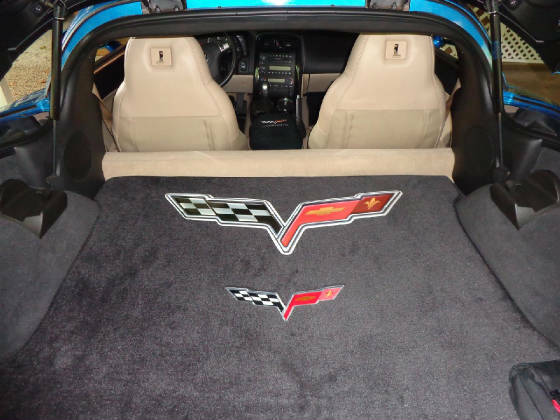 The transmission of the C6 Corvette is a six speed paddle shift automatic. 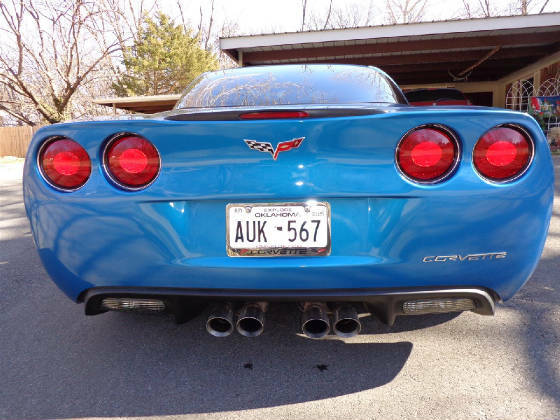 This is a fun transmission for those that like to sift or those that want a complete automatic. 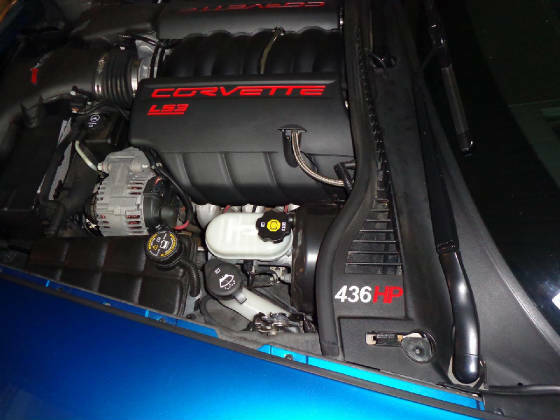 The ‘Red Line’ for the LS3 is 6500 RPM which gives the feel of even more than 436 horse power. 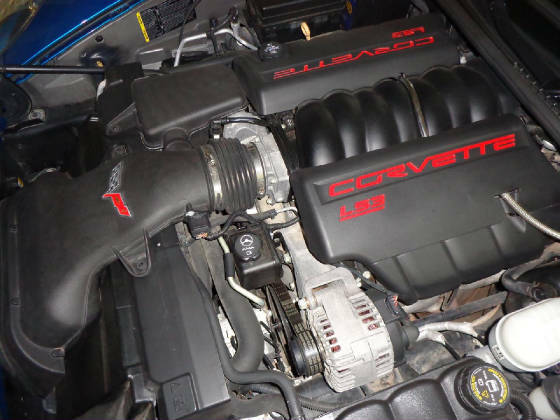 The engine is an LS3 6.2 liter (376 cubic inch) which puts out 436 horse power with special order dual mode exhaust package that can be switched to ‘OPEN or CLOSED’ depending on the exhaust sound wanted and an the additional six horse power over the regular exhaust system. 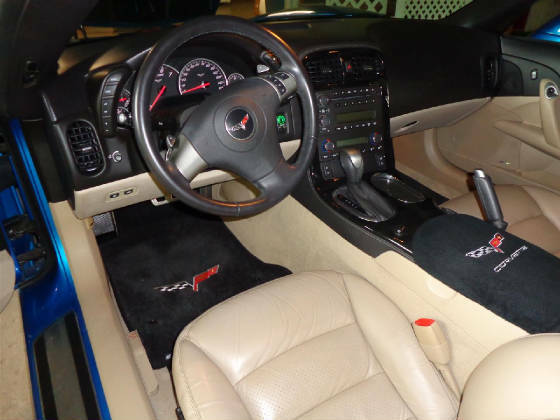 The interior is two tone ebony and champaign with the 3LT preferred equipment package complete with Boze premium seven speaker system, six disk CD changer, MP3 format stereo and heated power six way leather bucket seats. The interior also includes a ‘Head-Up’ display on the driver side windshield which includes a digital speedometer, tachometer and various engine information features. 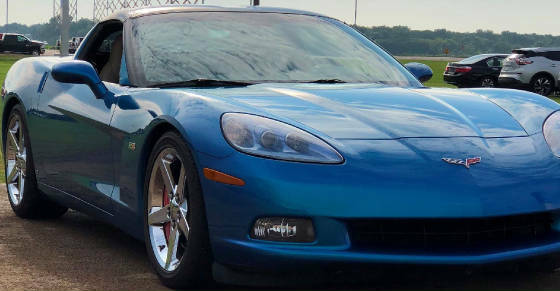 Wheels for this C6 are chrome plated aluminum five spoke eighteen inch fronts with nineteen inch rears. 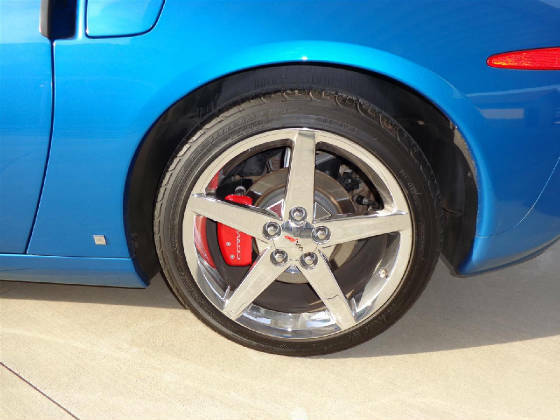 The tires are Michelin ‘Run Flat’ P245/40ZR18 on the front and P285/ZR19 on the rear. 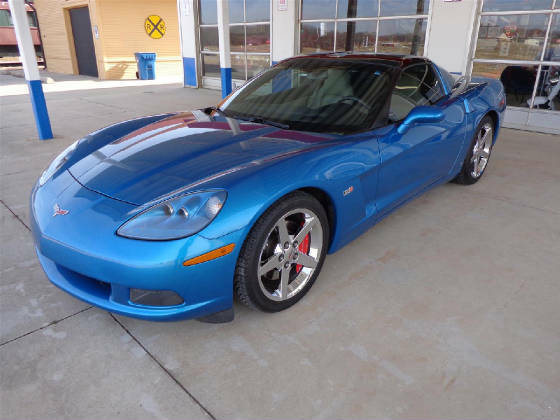 The Cimarron Starlite Cruisers appreciate Shelby and Donna Lauener of Perkins Oklahoma for sharing their 2008 Chevrolet Corvette LS3 as our Great Oklahoma Classic for October 2018.